Ten years. 120 months. 521 weeks. 3,653 days. It all adds up to a long time. For me, on this day – December 5th, 2016 – it means I’m marking my 10th anniversary since re-entering Second Life (I’ve previously dabbed with it, but had wandered away). Every year on this date for the past three or four, I’ve look back over my time in SL. Each year that gets harder to do because really, there’s only 12 months of “new” stuff to go over each year – the rest is a re-tread of things already said. But still, ten years is ten years, so pardon me if I ramble for a bit. Perhaps the most surprising is that I’m actually writing about the fact that it is now ten years since Inara Pey burst forth onto the digital scene as I decided to give “that Second Life thing” another go. Little did I realise just how much a part of me would enter her – and indeed, how much she would become a part of me. Back then, I re-entered SL With A Purpose, and determined not to be a wanderer looking for a role-play home. That purpose may now be a part of my virtual past, but it was enough to encourage me to stick with SL, meet like minds, make friends, explore and, eventually, to start writing about Second Life. And so the snowball started rolling. Of course, there have been many ups-and-downs through the last decade, both in terms of SL and personally. With the latter, there have been a fair few times when I’ve felt I really should just quietly put everything back into inventory and silently slip away. With the former – well, I’m not going to rehash the good or the bad; we all have our opinions on that! Suffice it to say, Second Life continues to roll (and sometimes creak) forward despite all the proclamations that The Sky Is Falling along the way. My one passing regret is that I couldn’t earn L$250 for every doom-laden prediction which has appeared in comments on these pages over the years 😀 . But all that aside, I continue to do what I’ve always enjoyed doing: logging-in, meeting friends, exploring, taking pictures, writing, and trying to understand more about what lies behind the curtain of this incredible world in which we invest so much of our time and energy. Yup, I’m still flying (and boating)! I’ve no idea what lies ahead for 2017. Again, being honest, there was a time when I’d targeted my tenth anniversary as the point at which Inara would quietly bow out of Second Life; but plans have a habit of changing as time moves forward, so I don’t see that happening any time soon (touches wood!). Frankly, it’s hard to think of a day where I’ll get up without a thought about Second Life, the friends I have here and what the day might bring when I log-in. Anyway, I’m not going to ramble on. Instead, I’ll finish with a few words of thanks. These go to everyone who has passed on rezday congratulations via blog comments, Twitter and IM, and to all of you who give you time to read and comment on this blog: you are genuinely the one reason I keep writing. Thank you, especially, to Caitlyn, for making the last 15 months so much fun throughout all our adventures and expeditions; and thank you, Linden Lab, for providing us all with this digital playground to share with one another. Long may it continue! Bento: extending the avatar skeleton – now officially live on the grid! On Monday, December 5th, Linden Lab announced that Project Bento is now “live” on the main grid following the promotion of the Bento Release Candidate viewer to de facto release status. Project Bento is – as I’m sure everyone is only too aware – the project to enhance the avatar skeleton for use in mesh models, human and non-human (please note the new bones cannot be used with the system avatar). It’s a project I’ve covered extensively in this blog, having been a part of both the closed and open beta phases of the work. However, just in case you have missed it. Bento adds a range of new bones the Second Life avatar skeleton, all of which can be rigged and weighted in mesh avatar models, and many can be used for a wide variety of purposes: limbs, wings, ears, tails and more. In particular, Bento adds over 30 bones to the avatar’s hands and avatar’s face, allowing mesh creators to design hands with movable fingers and faces which can be far more expressive. The Lab’s promotional video released as Bento entered a main grid beta phase is embedded below. As many of the bones are tied to the Second Life appearance sliders, it also means that – subject to caveats from individual creators – avatar meshes can be customised easier by users. So, for example, avatar heads can be tweaked to give a more personal look when compared to the “off-the-shelf” version of the same head. For non-human avatars, Bento brings a host of new possibilities and easier ways of doing things. Animal and humanoid avatars can be made which are more life-like, make better use of resources and offer fascinating new opportunities for wearable avatars, pets and more. A GIF of Medhue Simoni’s elephant avatar enjoying a little bit of the Bee Gees via Staying’ Alive. Medue is one of the creators / animators who has been at the forefront of Bento development – check his video for more on the elephant and his You Tube channel for Bento information in general. Credit: Medhue Simoni, via Linden Lab. To aid in Bento content creation, the project has heavily engaged the talents of Cathy Foil and the Machninimatix team to ensure that MayaStar, Cathy’s SL plug-in for Maya, and Avastar, the Blender add-on from Gaia and Matrice are fully Bento compliant – and all three have been instrumental in moving Bento forward. 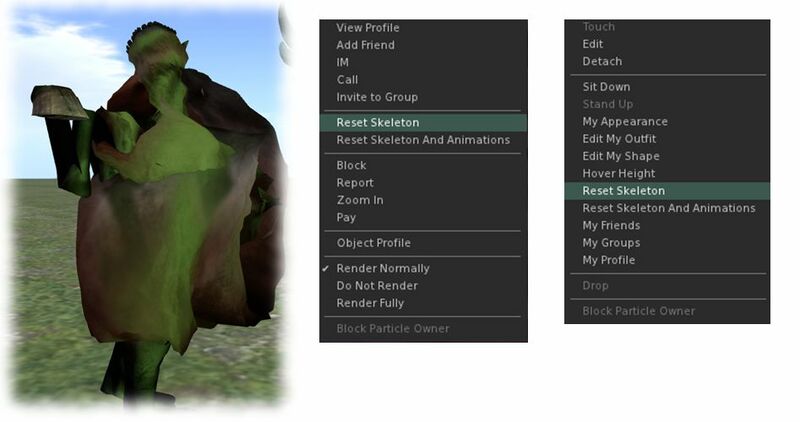 There are a couple of additional options which are included in the viewer called Reset Skeleton and Reset Skeleton And Animations, and can be found on the right-click avatar context menu. They have been included because sometimes, when changing between one mesh avatar and another, the basic SL avatar can become deformed, resulting in it looking squished, stretched, caught between two looks, or something else. The problem is generally the result of race conditions when the avatar’s appearance is being updated, and both of these buttons are intended to correct the problem – the option to reset animations as well is intended to fix deformations which may be due to animations also kicking-in incorrectly / at the wrong time. An important thing to not with both these option is they only fix the avatar in question (your own or someone else in your view. They do not affect how other people are seeing the same avatar. As stated above, content creators have been engaged in the project, and so some Bento content is already available in-world and via the SL Marketplace – and doubtless more will be appearing in time. However, you do need a Bento capable viewer to render Bento content correctly. Hopefully, it will not be long before TPVs also release Bento capable updates as well (some already have Bento updates available as experimental versions, or undergoing closed user group testing). In the meantime, I’ll leave you with a list of additional Bento and related resources and information. I first visited Luane’s World in April 2016 thanks to Owl Dragonash. A beautiful, mystical realm, home to Luane Meo’s store, it offered a serene and romantic setting for visitors. A lot has changed since then. Winter now grips the region (although summer retains a hold over the store), and the landscape has changed with the arrival of snow – but none of the romance, beauty or mystery of the region has been lost. Rather the opposite, in fact: it has grown, spreading itself across the adjoining region of Luane’s Magical World, presenting visitors with a genuine winter wonderland to explore. This is a landscape that is so expansive, it’s hard to know where to begin. The two regions are both linked physically and by winter’s touch (with a little exception in the case of each one: Luane’s store, and a sandy, cliff-hugging beach), but each is entirely unique, representing shared work by Luane and Kaelyn McMahon (Kaelyn Alecto). As such, they genuinely need to be experienced rather than written about. Just across the covered bridge from the store landing point, Luane’s World offers a setting that is largely rural: a cottage overlooks a frozen pond and fenced grazing for horses, a windmill turning slowly in the breeze, a small cabin close by sitting amidst frosted beech and oak trees. Stone slabs lift their white-dusted, flat heads above the deeper snow covering the ground, inviting visitors to wander further into the region. Those who do will find there is much to see and do, be it wandering the Gothic ruins, climbing the hill to Santa’s playground, skating on a second, larger pond or watching the world go by from the railings of the bridges that cross frozen streams. Indoors, the cottages and cabin offer warmth and respite from the cold for those who need it. Across a shallow channel of water spanned by more of the stone slabs, and around a curve of beach, sits Luane’s Magical World. This is a more mysterious realm, where a ruined castle sits top the beach cliffs and glittering, frozen water separates the land into islands and flooded scenes. Frost clings to trees, and light flickers and twists between branches and trunks. The Polar Express sits at the water’s edge, perhaps waiting to whisk passengers off on an adventure to the North Pole, while out on the ice, unicorns frolic and now-white deer leap. Climb up to the castle ruins and you’ll find one gate guarded by a portal and the other by a dragon. Travel far enough along the stone footpaths below the hill and you’ll either find your way back to Luane’s store or perhaps you’ll find a hidden cavern. One thing is sure: whichever route you take through Luane’s Magical World, you will find yourself enchanted by all that you find. You’ll also find plenty of places for sitting and cuddling while Romany caravans offer shelter from the cold. This time of year always bring forth may winter-themed places to visit in Second Life, and all of them have a certain attraction. However, Luane’s worlds offer something very special with their joint seasonal setting. Be sure to add them to your list of places to see this Christmas! Restrained Love Viewer updated to version 2.9.20.3 on December 1st – bug hotfix (release notes). Cool VL viewer Stable branch updated to version 1.26.18.35 and the Experimental branch updated to version 1.26.19.37, both on December 3rd (release notes). Radegast updated to version 2.20 on November 30th – featuring a new voice installer linking to most recent SL Voice repository. Note that as there is currently no access to the Radegast website, this update is not listed there (blog post, download link, source code link). The radio frequency (RF) resonant cavity thruster, or EmDrive (pronounced “M-drive”) as it is more popularly known, has been a source of much controversy since the idea first came into the public eye around 16 years ago, and the debate has been heating up again over the last few months. 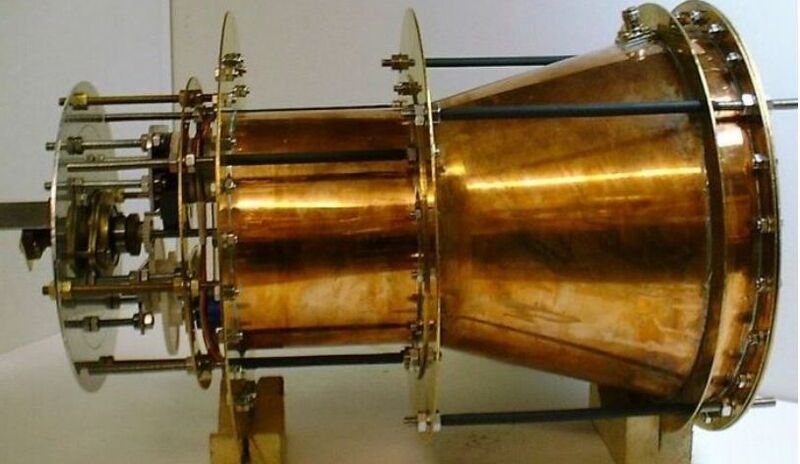 First proposed by British engineer Roger Shawyer in 1999, the EmDrive is supposed to be the world’s first working reactionless drive, a means of generating thrust without the use of any propellant. Over the years, it has undergone investigation and testing by a number of organisations and agencies before being quietly pushed aside, while some critics have been publicly scathing of the whole idea, labelling it the “impossible drive” as it violates the fundamental law of conservation of momentum (summed up in Newton’s third law, “for every action, there is an equal and opposite reaction”). Even so, research and testing has continued. The attraction of the drive is that were it to work, it could provide an almost endless supply of thrust for satellites and other spacecraft, opening the door to flights to Mars in just 70 days as opposed to the 180-234 days currently required using conventional means. The problem is no-one has actually got the idea to work. Researchers at the at the Northwestern Polytechnical University (NWPU) in Xi’an, China, thought they had in 2012, but further testing in 2014 revealed the thrust apparently created by their EmDrive test rig was actually due to a faulty power connector causing false readings. Now, however, it seems that a test rig operated by NASA’s Eagleworks Laboratory might actually have demonstrated that in principle an EmDrive could work.News on the testing has actually been leaking out of the laboratory for the past 2-3 months – and has rightfully been met with a healthy dose of scepticism. However, a paper from the team carrying out the research was submitted for peer-review through the Journal of Propulsion and Power, a publication maintained by the American Institute of Aeronautics and Astronautics (AIAA) – and is said to have passed muster. So, does this mean the EmDrive works? Well – no. The peer-review process means that no discernible flaws have been found in the methodology and testing carried out by the Eagleworks team, meriting the idea worthy of further investigation and research. It doesn’t mean fault or error may not yet be found going forward. One major means of testing the theory of the EmDrive would be to build a working unit and place it in space and see if it works. This is precisely what US engineer Guido Fetta hopes to do. He is planning to place a small version of his Q-Drive (derived from the EmDrive) in orbit for 6 months aboard a CubeSat (between 10×20×30 cm and 12×24×36 cm in size), and then try over six months to manoeuvre the CubeSat using the drive. He’s not alone; China similarly plans an on-orbit test of an EmDrive prototype, although no dates have been specified for them mission. Did Spirit Find Signature of Past Martian Life? 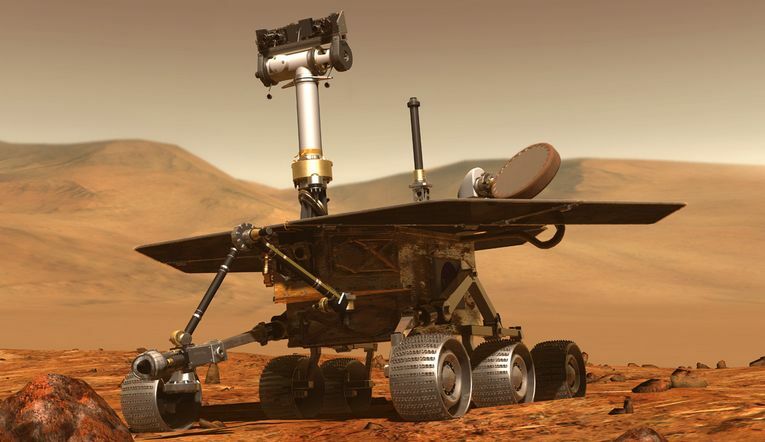 In January 2004, NASA landed two solar-powered rovers, Spirit and Opportunity on Mars. There primary mission was scheduled to last just 90 days – but Opportunity is still operating today, almost 13 years after it arrived on Mars. Sadly, Spirit was not so lucky; in May 2009, it became stuck in a “sand trap” and unable to free itself, eventually losing power as its solar panels could not be oriented towards the winter Sun on Mars, and falling silent in May 2010. Nevertheless, Spirit gathered a huge amount of data and images, some of which is being re-examined by scientists Steven Ruff and Jack Farmer from Arizona State University as a result of their field expeditions to Chile – and they believe the rover may have come across evidence for past Martian life. While examining images of a plateau of layered rocks dubbed “Home Plate”, examined by Spirit in 2006, Ruff and Farmer noticed the ground was covered in multiple nodular masses of opaline silica with digitate structures strikingly similar to structures they have encountered within active hot spring/geyser discharge channels at a site in northern Chile called El Tatio. This is a region which, due a rare combination of high elevation, low precipitation rate, coupled with a high ultraviolet irradiance, is regarded as a potential analogue for past conditions on Mars. What’s more, as a volcanic are, it shares much in common with “Home Plate”, which is believed to be an explosive volcanic deposit created when hot basalt rock came into contact with liquid water. Part of the formation may actually be an extinct Martian fumarole. The opaline silica Ruff and Farmer found at El Tatio have been shown to be largely of biotic origin; that is, created by microbes. Could this be the same for those Spirit saw at “Home Plate” in 2006? Ruff and Farmer believe it might. Ruff and Farmer note that while they cannot prove nor disprove a biological origin for the structures imaged by Spirit at “Home Plate”, they should be regarded as a potential biosignature by NASA’s own definition of the term. They go on to state that the only way to be sure would be for a robust examination to be made of the “Home Plate” location, perhaps by NASA’s upcoming Mars 2020, were it to be sent to that region, or through the examination of another region of Mars which is identified as being geographically and geologically similar. 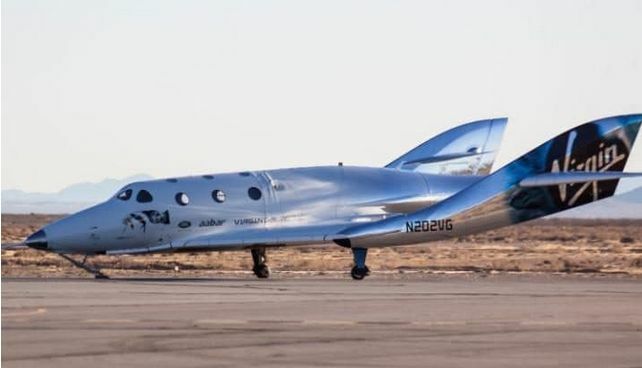 Virgin Galactic’s SpaceShipTwo vehicle, VSS Unity completed its first free flight test on Saturday, December 3rd, after a month’s delay due to a combination of high winds and an unspecified technical issue, which combined to leave the vehicle able to make just a single captive / carry flight with its carry / launch aircraft, WhiteKightTwo. The unpowered flight, took place over the Mojave Air and Space Port in California and was the first in a series of around 10 – the precise number will depend on how well the targets for each flight are met – such tests the vehicle will make before Virgin Galactic move to powered flight tests using their new rocket motor for the vehicle, which has so far only been tested on the ground. ESA’s Trace Gas Orbiter (TGO), which arrived in orbit around Mars in October, has yet to reach its primary science orbit but it is already flexing its muscles. On November 22nd, as TGO swept over Mars on one of its current 4.2 day elliptical orbits, a test was carried out on its ability to relay data from the Martian surface to Earth, acting as a go-between for both the Curiosity and Opportunity rovers. As well as carrying a suite of science instruments and camera systems, TGO also carries a communications relay package from NASA called Electra, which allows the spacecraft to successful receive and store communications from NASA’s surface vehicles and then relay them to Earth. Currently, TGO’s orbit carries it from just 300km (200 mi) above the surface of Mars all the way out to 98,000 km (60,000 mi), limiting its effectiveness as a communications relay. However, this will be lowered and circularised in the coming months to just 400 km (250 mi) above the planet, at which point TGO will be perfectly positioned to carry out its primary science mission and act as a relay for current and future surface missions, including Europe’s own ExoMars rover. The relay test came at a time when ESA were working on calibrating TGO’s instruments during the close flights over Mars in each of it current orbits around the planet. These calibration tests included initial use of the orbiter’s “eyes”, the Colour and Stereo Surface Imaging System (CaSSIS), which yielded, in the mission team’s words, “spectacular” results. CaSSIS is an impressive system, capable of capturing still images and video across a number of colour wavelengths, and in 3D if required. 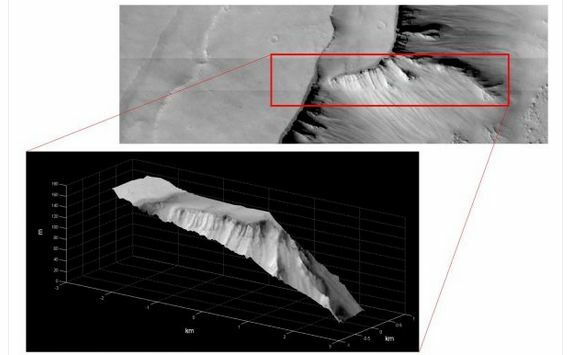 All of CaSSIS’s capabilities were exercised during the test as the orbiter passed over Hebes Chasma, an eight km (5 mi) deep trough just to the north of the mighty Valles Marineris. The images collected during the pass have a resolution of 2.8 metres per pixel. To put that in perspective, it’s the equivalent of flying over New York city at 15,000 km/h (9,375 mph) and simultaneously getting sharp pictures of cars in Philadelphia. Once TGO reaches its operational orbit towards the end of 2017, CaSSIS will be capable of acquiring 12-20 high-resolution stereo and colour images of selected targets per day. Meanwhile, NASA’s Mars Reconnaissance Orbiter (TGO) has located another gigantic water ice deposit lying just under the Martian surface. The ice, lying beneath the planet’s Utopia Planitia, was located using MRO’s ground-penetrating Shallow Radar (SHARAD) instrument. Estimated to be bigger than the US state of New Mexico and containing more water than Lake Superior, it is the second massive ice deposit SHARAD has found in just over a year. The first exists as a deposition averaging 40 metres (604 ft) think, extending almost all the way from the planet’s mid latitudes up to north polar region and covers an area the size of Texas and California combined. 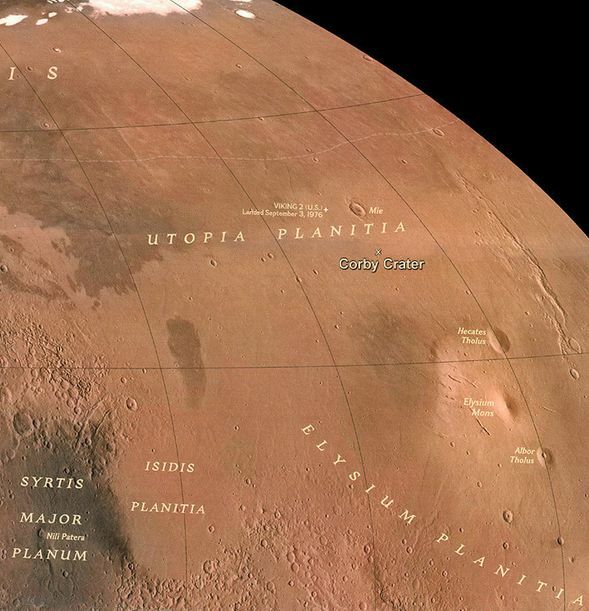 The ice under Utopia Planitia – the landing site for NASA’s Viking 2 mission of the 1970s – is between 80 to 170 metres (260 feet to 560 ft) in thickness, comprises around 85% water ice (the rest being dirt and other deposits), and – most crucially – lies between 1 and 10 metres (3 and 30 ft) beneath the surface, potentially making it an accessible resource for future human missions to Mars. NASA is considering a shorter mission for the first crewed flight of its Orion Multi-Purpose Crewed Vehicle. Originally, the flight was to have comprised a “slow cruise” out to the Moon of between 3 and 6 days, followed by three days in lunar orbit before making a similar 3-6 day “slow cruise” back to Earth. However, under the new plans being considered, Orion and its crew would be placed in a high Earth orbit (HEO) with an apogee of 35,000km (21,875 mi), where it would remain for a day, before separating from the Exploration Upper Stage (EUS) of its Space Launch System rocket and suing its Service Module motor to enter a trans-lunar injection orbit, for a single free-return flight around the Moon without ever going into orbit there. Two particular risks worried mission planners: a failure with the Orion’s life support system in what would be its first space-based test with a crew aboard, or a failure with the Service Module’s engine which might leave them stranded in Lunar orbit. The redesigned mission means the life support system can be tested whilst in HEO, and the service module motor only needs to be fired once, when boosting Orion towards the Moon. The change in approach does not affect the Exploration Mission 1 flight, scheduled for 2018. That mission is expected to last around 25 days, with an uncrewed Orion vehicle placed in lunar orbit for several days before it returns to Earth. However, it does open the door to a more gradual approach to extending Orion’s capabilities, with NASA now planning one Exploration Mission a year being flown between 2023 and 2030. Most of these flights will be cislunar operations, with EM-6 (2026) earmarked as the asteroid rendezvous mission originally scheduled to take place in 2023 as EM-3, but which has been pushed back as a result of delays in the Asteroid Redirect Mission (ARM), its necessary precursor. EM-10 would mark the likely transition from cislunar missions to BEO (“Beyond Earth Orbit”) missions directed towards Mars, utilising Orion and expanded capabilities such as habitat modules and possible nuclear-powered propulsion units.